Explanation of what servitudes are, their legal nature and the implications of undefined servitudes. A servitude is a limited real right that one person has to the use of another person’s property. For example, if you need to drive over a portion of your neighbour’s property in order to access your home, you would typically have been granted a servitude of right of way by the neighbour in order to access your home. The servitude is registered in the deeds office and endorsed against the title deeds of both your property and your neighbour’s property, in order to ensure that your neighbour is bound to recognise and allow you to exercise your right in terms of that servitude, for so long as you are the owner of the property. There are many different types of servitudes. For example, right of way servitudes, servitudes of aquaeductus (which entitle the grantee to draw water from a well or dam or other water source), usus (the right to use a certain portion of a property or the whole of a property), and habitatio (the right to reside in a portion or the whole of a property). Servitudes can also be personal in nature (meaning that they will endure only until the death of the person to whom it is granted) or praedial (which means that the servitude is granted not infavour of a person but in favour of a piece of land, and will remain registered in favour of that particular land). Once a servitude has been registered against the title deeds of the properties concerned it obliges the parties to recognise the servitude and allows the person to whom the servitude is granted to enforce their rights. However, just because a servitude is not registered, this does not mean that no rights and/or obligations arise between the parties to the servitude agreement. This could happen where, for example, a servitude was intended to be registered but was accidently not registered. Another instance in which an unregistered servitude can still result in enforceable rights, is where a servitude called a right of way by necessity arises. This happens in situations where is a servitude comes into existence by virtue of the common law to enable the owner of a ‘landlocked’ piece of land to access his/her property, regardless of whether there is an agreement between the parties or not to this effect. Most servitudes arise by agreement between the parties and in the case of a personal servitude (which is a servitude granted in favour of a person for the duration of that person’s lifetime) the relevant parties will be the person to whom the servitude is granted (“the grantee”) and the person who is granting the servitude (“the grantor”). In the case of a praedial servitude the parties will be the registered owners of the two pieces of land that the servitude concerns. The owner of the piece of land that will be burdened by the servitude (“the servient tenement”) is called the grantor and the registered owner of the piece of land in favour of which the servitude is being registered (“the dominant tenement”) is called the grantee. The relevant parties (the grantor and grantee) will sign a servitude agreement which must be drafted by a Notary Public and notarised by that Notary Public, who will then register the servitude against the title deeds of the two pieces of property (in the case of a praedial servitude) or the one piece of property (in the case of a personal servitude) concerned. A servitude can be created in one of three ways. The first is where an unregistered servitude arises by operation of law (i.e. as described above in relation to a servitude of right of way of necessity). These types of servitudes are not the focus of this article and will not be dealt with further herein. The second way is where the parties sign a servitude agreement, which is drafted and notarized by a Notary Public, and the registrar of deeds then endorses (stamps) the title deeds of the properties/property concerned to show that it is burdened by or entitled to servitutal rights. The third way in which a servitude can be created is by the owner of the servient tenement signing a power of attorney authorising a conveyancer to sign and submit the necessary documents at the deeds office to create a servitude. This is commonly done when the owner of the property is going to transfer the property at the same time as the servitude is going to be created, so the conveyancer can draft the new title deed which shall include the reference to the servitude. Servitudes can be defined in one of two ways. The first is where a diagram showing the land concerned is drafted by a land surveyor and is registered in the Surveyor General’s office and given a unique diagram number, on which diagram the extent of the servitude is indicated by reference to letters. The notary or conveyancer concerned will then describe the extent of the servitude in the relevant document (which may be a servitude agreement or a power of attorney/title deed) by referring to the letters reflected on the SG diagram. The other manner in which a servitude can be described is by explaining in words where the servitude lies in relation to the lay of the land, by reference to deeds and diagrams already registered, and describing this in the title deed of a property when it is transferred or in a servitude agreement when it is registered. If you are purchasing a newly subdivided portion of a parent’s erf which is going to be developed into a cluster type development, in which all of the owners of the erven in the development share a common access road to reach their properties, then it may very well be the case that a servitude is created burdening your property to allow other people to drive over a certain portion of your property in order to reach their properties, where at the same time you are given the right to drive over certain portions of their property in order to reach your property. This is known as a reciprocal right of way servitude, and in situations like these would typically be registered in the same manner over all of the erven in the development to ensure that everybody has the right to drive over a small portion of everybody else’s land in order to reach their home. Very often when properties are sub-divided, consolidated, or developed in any significant manner, the municipality will require that a servitude be registered over a portion of the property in order to enable the municipality, if necessary at any point in the future, to access the property to repair or maintain or lay any new cables, sewers, pipes or any other municipal infrastructure that may supply or be situated on the property. These types of servitudes are most commonly created simultaneous to transfer, meaning that the servitude itself will be described in the title deed with reference to the lay of the land as described in a pre-existing surveyor general diagram. A servitude cannot be undefined if it is created with reference to an existing SG diagram, as there will always be a reference using letters in the diagram to explain exactly where the servitude exists. However when servitudes are created in the title deeds of properties, it sometimes happens (especially in relation to municipal servitudes in the Johannesburg municipal area) that the description of the servitude is vague and does not explain precisely where it actually lies. For example, the authors have seen several examples which typically provide that the City Council will have a servitude two meters wide running along the boundary of the property, or along any two boundaries of the property, that are not street fronts. The problem with this description is that there are typically four boundaries to a property and typically only one them has street frontage, meaning that in a description such as the one quoted for the purposes of illustration here, it is not possible to tell from that description along which one border or two borders of the property concerned the municipal servitude actually lies. Because servitudes of this nature are created by agreement, the first port of call needs to be the servitude agreement. In some cases there will be a notarial deed of servitude which will contain the agreement between the parties that one can have reference to in order to clarify the intention of the parties, but in other cases (especially in relation to municipal servitudes) there will simply be an instruction from the City Council that such a servitude must be created, coupled with a Power of Attorney signed by the (then) owner of the property authorising the creation of this particular servitude, the two of which need to be read together and understood as the servitude agreement. If is it still not clear from looking to the original terms of the servitude agreement (or to the instruction by the municipality that the servitude be created) as to along which border of the property concerned the servitude should lie, then the only option to clarify is to resort to the parties to the agreement and ask them as to what their intention was when creating the servitude in the first place. Where this is a municipality this can be an incredibly time consuming, costly and frustrating experience, as a municipality is essentially being asked, in a situation where it could potentially pick any one or two of three borders of a property, which one or two it would like to pick. In order to answer this question the municipality inevitably circulates the question to all of its technical departments (which in some large metropolitan municipalities can include over twenty separate departments) for comments to see whether any of these particular departments require the servitude to lie along any particular one of the available borders. Sometimes the comments that come back from the technical departments will not give any clarity to the matter whatsoever, inasmuch as it will still remain open to the relevant person tasked with deciding which borders the servitude runs along, to determine the answer. In other cases the comments that come back conflict, where different technical departments want the servitude to lie along different borders for their own reasons. In either case it makes it very difficult for the person who has to ultimately decide where the servitude lies to make a decision. For the reasons explained above the process of determining the extent and lay of an undefined servitude can be very frustrating, time consuming, and expensive especially where the determination lies with a municipality. 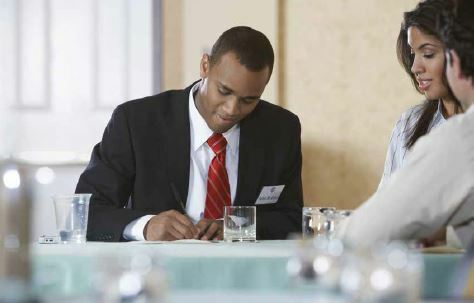 In order to avoid the situation from occurring, it is recommended that notaries and conveyancers who are involved in the creation of servitudes, take great care to ensure that the description of the servitude in the title deed or notarial servitude agreement is explicit enough to avoid the above becoming a problem in the future.